New release alert! 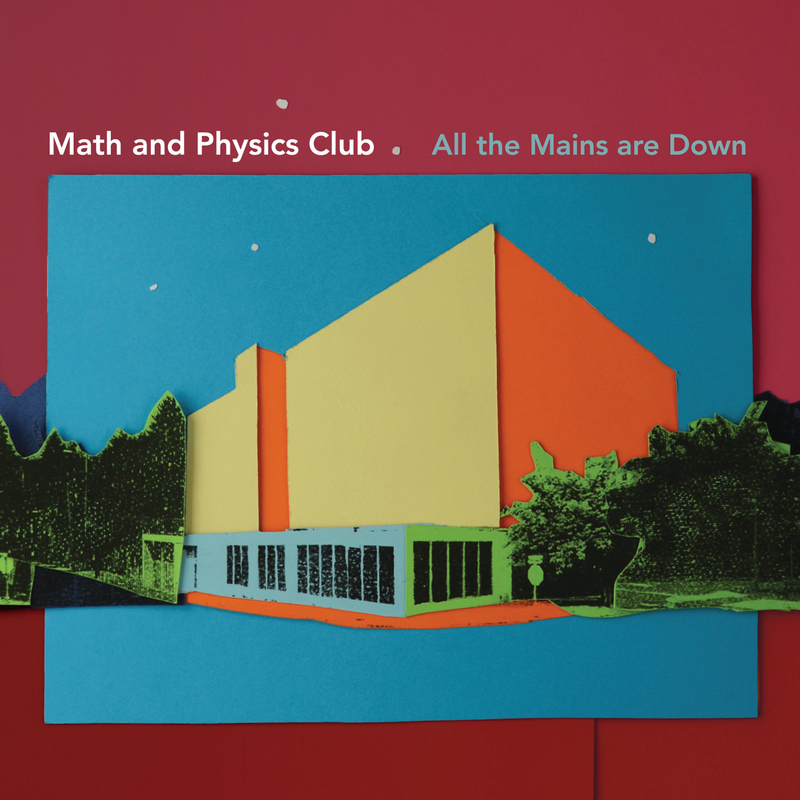 The fourth studio album from Math and Physics Club is entitled ‘Lived Here Before’ (matcd081) and is now available for preorder! The album features all the carefully constructed pop handicraft we’ve come to expect from these Pacific Northwest lads, but also shows the band stretching confidently into new territory at a stage when many bands would simply be retreading the same paths. Working from a makeshift studio in the wilds of Snohomish, Washington, with fabled grunge producer Chris Hanzsek (Soundgarden, Green River), the band recorded eleven songs over four days in the company of Douglas firs and Swainson’s thrushes. Longtime fans will still recognize the band’s upbeat sound set against often bittersweet storytelling, but there’s also a darker, more world-weary undercurrent that feels earned with the passage of time, or perhaps as a reflection of the times themselves. Lead track ‘Threadbare’ sets the tone with its Shins-esque beat and close-up intimacy, followed by a powerful push-me-pull-you between the verses and choruses, sweet and sad. ‘Marblemouth’ is an unabashed Britpop rocker with chiming guitars and driving bass, while ‘Broadcasting Waves’ bursts in with an infectious groove that serves as a backdrop to searching for love across fields and open oceans. ‘The Pull of the Tides’ builds slowly to crescendo and back again, evoking bands like The Ocean Blue and The Softies along the way, and setting up one of the album’s more subtle tracks, ‘Like Cinnamon’, which flips the dynamic between music and lyrics with its brooding backdrop. In a surprise, the band includes its first instrumental with a slinky tango titled ‘Falling for It’ providing a wink and a nod to early REM interludes like ‘Underneath the Bunker’. ‘Dear Madeline’ is vintage Math and Physics Club with intertwining guitars and soft brushes beautifully set against one of the band’s more poignant vignettes. The mood shifts to agitation with ‘Take a Number’ which paints a more insidious type of darkness, fueled by its dueling guitar riffs and percussive flourishes. The album’s title is also pulled from one of its lyrics. ‘Past and In Between’ whips things into a lather with its groovy bass and Motown beat that dodges in and out of piano, organ, and big, layered harmonies of oohs and ahhhs. But the final resolve is left to hang in the air, which smartly sets up perhaps the album’s high point, ‘All the Mains are Down’, which rips along with chiming guitars, piano, and three-part harmonies that bring to mind early REM (one of the band’s lesser noted influences). Scottish favorites Bubblegum Lemonade celebrate their tenth release in ten years with a brilliant six-track holiday EP entitled ‘Laz Christmas’ (matinee 096)! ‘Laz Christmas’ is officially released on December 8, but you can place an order for it now in the Matinee shop for shipment next week. In the meantime, have a listen to new holiday classics ‘Number One for Christmas’ and ‘Silent Night’ on our Soundcloud! Brighton duo The Perfect English Weather return with the new 4-track ‘English Winter’ EP (matinee 095) which marks an intriguing departure from last year’s much loved debut album ‘Isobar Blues’ (matcd078). The release sees the duo, Simon and Wendy Pickles, drawing further distinction from their other band The Popguns and taking cues from sophisticated electronica such as St. Etienne while maintaining the strong vocals and impeccable melodies from previous releases. The official release of ‘English Winter’ is December 8, but you can place an order for it now in the Matinee shop for shipment next week. To get you excited, ‘Still’ and ‘Christmas In Suburbia” are now featured on our Soundcloud! 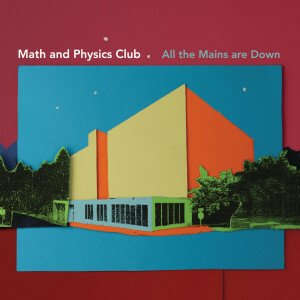 Seattle popstars Math and Physics Club have just completed recording their fourth studio album ‘Lived Here Before’ and it is set for release in January! The first single from the album is entitled ‘All The Mains Are Down’ (matda003) and it is so good we couldn’t possibly make you wait two months to hear it. Longtime fans will recognize the usual hallmarks of chiming guitars and lyrical economy, but the piano flourishes, dynamic shifts, and three-part harmonies on the song show the band diving into deeper influences and coming up with a ripper closer to early REM than Belle and Sebastian. ‘Lived Here Before’ features all the carefully constructed pop handicraft we have come to expect from these Pacific Northwest lads, but also shows the band stretching confidently into new territory at a stage when many bands would simply be retreading the same paths. The album, including eleven new songs recorded with fabled grunge producer Chris Hanzsek (Soundgarden, Green River), is scheduled for release on January 26. New release alert! A few years after the break-up of much-loved Australian indie stalwarts The Lucksmiths, three quarters of the band quietly got together again as Last Leaves. With songwriter and guitarist Marty Donald assuming vocal duties alongside longtime collaborators Louis Richter (guitar) and Mark Monnone (bass), and joined by drummer extraordinaire Noah Symons (Great Earthquake), they began work on a body of songs that – a few years later again – finally finds release in their remarkable debut album ‘Other Towns Than Ours’ (matcd080). Sounding like a lost classic from the Summershine imprint, second single ‘The Hinterland’ recounts a country convalescence: “From an upstairs window at your parents’ place/You saw the sun set where the highway cuts across the hinterland/Tail-lights fading in the twilight/It was more than you could stand.” Meanwhile, the off kilter, psychedelic-tinged country-soul(!) of ‘Third Thoughts’ finds cause for a lover’s lament in the glimpse of a road afforded by a newly fallen tree, and ‘Other Rivers’ showcases some impressive guitar work that will surely please the most zealous Lucksmiths fan. The album was recorded by UK producer Gareth Parton (Foals, The Go! Team) over the course of almost three years, between Melbourne’s inner-northern suburbs and the band’s base in the hills to the east of the city. Donald’s move there some years ago is reflected in the satellite towns, country roads and mountainside motels of ‘Other Towns Than Ours’; as ever, a profound sense of place remains central to his songwriting. As we near the highly anticipated release of the debut album from Australian supergroup Last Leaves, we are excited to announce an exclusive 7″ single from the band called ‘The Hinterland’ (matinee 094)! Bristly and warm, boldly fragile, and full to the gunwales with evocative imagery, ‘The Hinterland’ recounts a country convalescence: “From an upstairs window at your parents place/You saw the sun set where the highway cuts across the hinterland/Tail-lights fading in the twilight/It was more than you could stand.” To these ears, it sounds like a lost classic from Australia’s Summershine imprint which of course is high praise indeed. Guitars interweave throughout the verse … Richter’s joyous leads recalling variously Big Country and Stone Roses atop Donald’s staggered rhythm … before bursting anthemically into the harmony-laden chorus. Exclusive b-side ‘Nora Creina’ borrows its title from a pin-prick hamlet on South Australia’s Limestone Coast and its chorus from a short story by the Canadian writer Alice Munro, its shamble-footed groove giving way memorably to a majestic shoe-gaze outro. The 7″ is limited to 500 copies worldwide and co-released with the hip Lost and Lonesome Recording Company of Australia so please support your local label. The digital release is September 22 and vinyl ships on or before October 6. You can preorder either format RIGHT NOW in the Matinee shop! 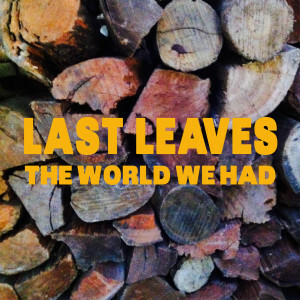 Hot on the heels of their splendid track ‘Something Falls’ on the ‘Matinee Idols’ compilation (matcd075), Australian supergroup Last Leaves herald the imminent arrival of their long-awaited debut album with a gloriously fuzzy slice of guitar pop entitled ‘The World We Had’ (matda002). Comprised of ex-Lucksmiths Marty Donald, Louis Richter and Mark Monnone with Noah Symons of Great Earthquake on drums, Last Leaves have put the finishing touches to their album ‘Other Towns Than Ours’ and launch it out of the blocks with the tautest, hook-laden track of the set. For all its immediacy, though, ‘The World We Had’ also packs an emotional punch. What begins as a fond reminiscence of a long-ago winter weekend away becomes a rueful reassessment of where things stand now: “I’m sure we were never so happy before,” asks the quietly devastating middle-eight, “but darling, don’t you think we could say the same for since?” As the outro crashes in … all jangling guitars, tambourines and woo-woos … the question posed earlier in wonder upon a lover’s first experience of snow (“the world we had where did it go?”) is deftly reframed as a lament for a fading love. Today is the official release date for ‘Matinee Idols’ (matcd075), a brilliant new compilation to commemorate the 20th anniversary of Matinee Recordings! To mark this milestone, Matinee artists from across the globe contributed previously unreleased, exclusive, or rare recordings to this special collection and the result is a certified pop classic!